c.1400 BC - c.1100 BC Mycenaean civilization. 594/93 BC Solon (Sólon) the archon of Athens. Greek city-states led by Sparta. 27 Sep 480 BC Persians capture and burn Athens. 461 BC - 429 BC Pericles (Periklís) the ruler of Athens. League led by Athens with support from Argos. Macedonia defeats Athens and Thebes. of Greek states under Macedonia. and to the Achaean League. as rival of Antigonid Macedonia and ally of Rome. 22 Jun 168 BC Roman Republic defeats and annexes Macedonia. 146 BC - 27 BC Part of Roman Republic (as Provincia Macedoniae). had allied itself with the Kingdom of Pontus. called New Rome (Nova Roma [Néa Rómi]). 393 AD Last ancient Olympic Games take place. 4 Sep 476 Last Emperor in the West is deposed by barbarians. Dobruja, Moesia (Moisía), Macedonia and Thrace. 1018 - 1185 Byzantine Empire annexes Bulgaria. most of Thrace and Macedonia from the Byzantines. 13 Apr 1204 Latin Crusaders sack Constantinople. Roman (Byzantine) Empire overthrown by Crusaders. 1205 - Jun 1458 (Latin) Duchy of Athens (in Attica). 6 Jan 1209 - Dec 1246 (Latin) Kingdom of Thessalonica (at Salonika). captures Constantinople from the Latins. 15 Aug 1261 Eastern Roman (Byzantine) Empire (restored). 1362 Adrianople (Edirne) part of the Ottoman Empire. 9 Apr 1387-Jan/Feb 1403 Thessalonica (Saloníki) part of Ottoman Empire. Sep 1423 - 29 May 1430 Venetian occupation of Thessalonica. 29 Mar 1430 Thessalonica reconquered by the Ottoman Empire. the Eastern Roman (Byzantine) Empire. finally occupied in Jun 1458). 29 May 1460 Despotate of the Morea captured by the Ottomans. the Ottoman Empire (part of Rumelia Eyalet). the White Sea" or "Archipelago"). League (incl. Spain and Venice) off Patras. as Eyalet of Morea (Eyālet-i Mōra). 27 Sep 1669 Crete captured from Venice by the Ottoman Empire. by the Republic of Venice. (Mystras) and Crete under Russian protection. Oct 1770 - 3 Jun 1775 Russian occupation of Naxos and Cyclades Islands. 23 Mar 1821 - 12 Sep 1829 Greek war of independence. Greeks controlling countryside (17 Mar 1821 OS). whole Peloponnese (Pelopónnisos)(26 May 1821 OS). as additional and ultimately preferred form). 24 May 1827 Ottomans recapture the Acropolis. 6 Jul 1827 British, French, and Russian intervention. Russian intervention, ending Egypt intervention. 29 Aug 1828 - 26 Sep 1833 French occupation force in the Morea. garrison leaves the Acropolis 31 Mar 1833). Greece and the Cyclades Islands. 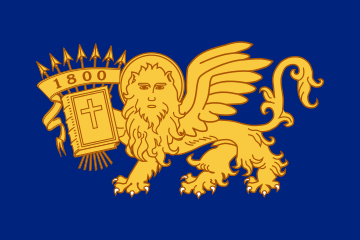 6 Feb 1833 Kingdom of Greece (monarchy instituted). enforce Greek neutrality during the Crimean War. 1 Jun 1864 Ionian Islands incorporated into Greece. 2 Jul 1881 Thessaly incorporated into Greece. 30 May 1913 Crete incorporated into Greece. surrounding areas and most of Eastern Thrace. 23 May 1920 Western Thrace incorporated into Greece. 1922 - 1923 Population exchanges between Greece and Turkey. 28 Sep 1922 Eastern Thrace restored to Turkey. 31 Aug 1923 - 17 Sep 1923 Corfu occupied by Italy during "Corfu Incident." 25 Mar 1924 Monarchy formally abolished. 10 Oct 1935 Kingdom of Greece (restored). 1941); from 27 Apr 1941, Greek State. 8 Sep 1943 Germans occupy Italian controlled areas. 2 Sep 1944 Germans begin withdrawal from Aegean islands. 13 Oct 1944 Kingdom of Greece (declared restored). 15 Oct 1944 - 1947 British occupation (forces remain to Feb 1950). 3 Nov 1944 Last German troops are withdrawn from Greece. Greece (retroactive to 28 Oct 1947). northern Greece under its control. Note: Greek names are listed (some with notes) using a modified Hellenic Organization for Standardization (ELOT) 743 romanization system. Dates for Greek records before 1822 are given according to Old Style (Julian) calendar, and after according to New Style (Gregorian) calendar. New Style was introduced in Greece effective 15 Feb/1 Mar 1923. (b) 6 Jun 1863 - 25 Oct 1920, 17 Nov 1920 - 25 Mar 1924 (New Style), 4 Nov 1935 - 22 May 1941 and 13 Oct 1944 - 1 Jun 1973: Vasiléfs ton Ellínon ("King of the Greeks [Hellenes]"). ²Greek sources are very obscure on the style and function of this body. In some - non-Greek - sources it is described as a Regency. ³Having left Athens 23 Apr 1941, the King and government left Crete - the last free Greek soil - on 23 May 1941, staying in Alexandria (Egypt) 2-29 Jun 1941, then Johannesburg (South Africa) 20 Jul - 5 Sep 1941, and arriving in London (England) 24 Sep 1941. There the government remained until 14 Apr 1943, then staying at Cairo (Egypt) 5 May 1943 - 6/8 Sep 1944, moving to Italy 9 Sep 1944 (from 1 Oct 1944 at Cava dei Tirreni), and finally returning to Athens 18 Oct 1944. The King returned from London 27 Sep 1946, entering Athens 28 Sep 1946. Noble and Ecclesiastical Titles: Antivasiléfs = Regent; Archiepískopos = Archbishop; Kómis/Graf/Conte = Count; Prínkipas = Prince; Varónos (Barónos) = Baron; Velikaya knyazhna = Grand Princess; Vasilomítor = Queen Mother. 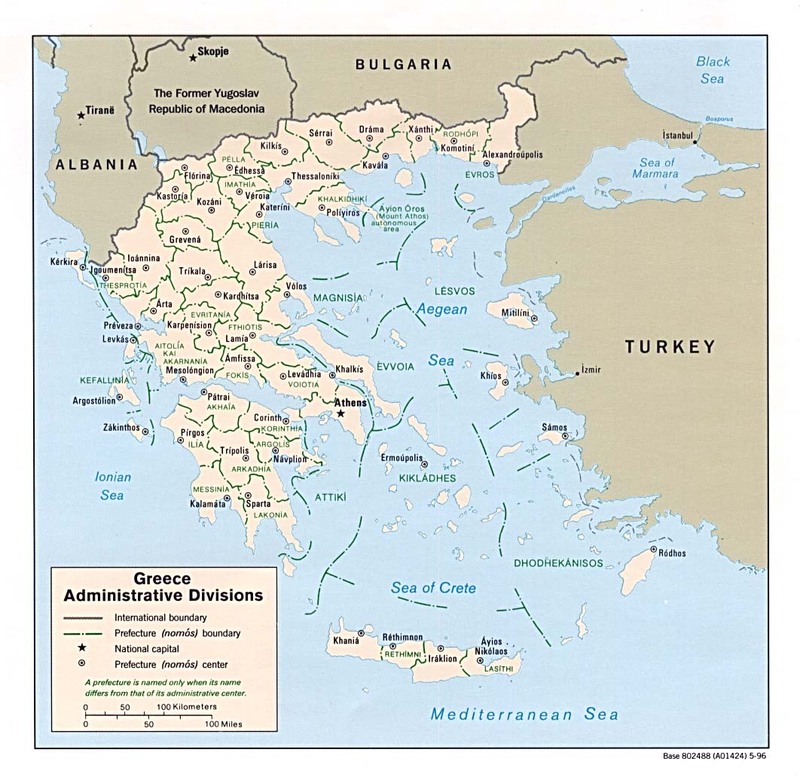 Territorial Disputes: Greece and Turkey continue discussions to resolve their complex maritime, air, territorial, and boundary disputes in the Aegean Sea; Cyprus question with Turkey; Greece rejects the use of the name Macedonia or Republic of Macedonia; the mass migration of unemployed Albanians still remains a problem for developed countries, chiefly Greece and Italy. Greece's long coastline and developed economy entices tens of thousands of illegal immigrants from the Middle East and northern Africa. Greeks controlling countryside (OS date 17 Mar 1821). Peloponnese (Pelopónnisos)(OS date 26 May 1821). provincial capital of Morea (OS date 23 Sep 1821). for Continental Greece, then part of the Aegaean province. regional bodies are abolished on 30 Apr 1823 (see Greece above). 24 Jan 1822 Greek independence proclaimed. in liberated areas of Greece. Government in the areas of Northern Greece under its control. 395 - 1204 Part of Eastern Roman (Byzantine) Empire. "Makedón" (Basil I "the Macedonian"). 908 Athos becomes independent of the monasteries outside the peninsula. monks, is attested to for the first time. cent. ; and St. Nicholas in 1541.
to the monasteries of Mount Athos in the first charter (typikón). Agiónymon Óros tou Átho ("Our Holy Mountain of Athos"). 16 May 1204 - 1222 Part of Latin Empire (within the Kingdom of Thessalonica). 1205 Mount Athos is briefly occupied by the members of "Fourth" Crusade. it under direct Papal protection by Papal Bull (until 1312). Macedonia and Athos; part of Despotate of Epirus. 1224 Part of the Eastern Roman (Byzantine) Empire (restored). on monasteries of Mount Athos, which is rejected by the monks. 1307 - 1309 Monasteries are repeatedly sacked by Catalan Company mercenaries. the Ecumenical Patriarchs of Constantinople. 1343 - 1371 Part of the Serbian Empire. 1371 Part of Byzantine (Eastern Roman) Empire (restored). 1383 - Jan/Feb 1403 Ottoman occupation of the peninsula. not under the authority of the Bishop of Ierissós. charter (typikón) of Mount Athos. Constantinpole as long as a Christian emperor reigned. 1424 - 15 Nov 1912 Part of the Ottoman Empire. Mount Athos restoring holy vows and strengthening monasticism. supreme authority in charge of Athonite affairs. Mount Athos reorganizing its central administration. revolution in Chalkidike (Chalkidikí) peninsula. peninsula area and garrison Athos. Bessarabia (Moldova) and the Caucasus. equality of rights and prerogatives" (ratified 28 Aug 1878). Greece, Serbia, Romania, Montenegro, and Bulgaria]) until 1917. Ioakeím III (Joachim III) and the Athonite monks, ratified. following start of the Second Balkan War. 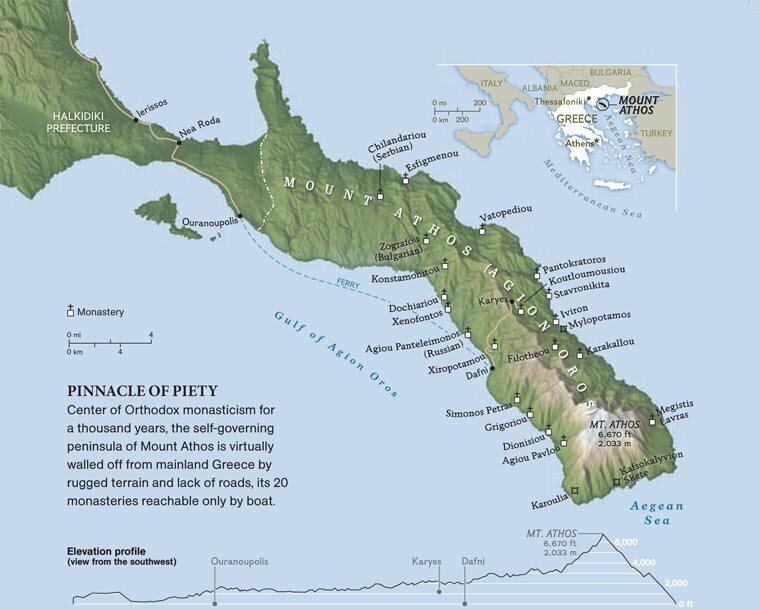 peninsula of Mount Athos" by the Treaty of London (not ratified). - not mentioning any autonomous status (effective 29 Nov 1913). 26 Mar 1917 Mount Athos recognizes Greek provisional government of Venizélos. refuses and continues to use the Old Style (Julian) Calendar. by representatives of the 20 monasteries. Athos", or as the "Athonian republic"). small German garrison is present Jun 1943 - 29 May 1944). administrator and requesting tribute from the monasteries. 8/9 Dec 1988 Inscribed by UNESCO as a World Heritage Site. ¹since 1926, administration is composed of representatives of the modern 20 monasteries of Mount Athos. The 20 monasteries are grouped into five quartets (tetrás). Each year one qualified individual from the first monastery of each quartet is sent to represent his quartet in the central administration (called the Supervisory Committee of the Holy Community [Ierá Epistasía]) with the chair (protepistátis) rotating automatically among the five quartets for a term running for one year from 1 Jun (N.S. 14 Jun) to 31 May (N.S. 13 Jun). The five quartets are as follows: (1.) Great Laura (Megísti Lávra), Docheirou (Docheiaríou), Xenophontos (Xenofóntos), and Sphigmenou (Esfigménou); (2.) Vatopede (Vatopaidíou), Coutloumoussi (Koutloumousíou), Caracalla (Karakállou), and St. Nicholas (Stavronikíta); (3.) Iveron (Ivíron), Pantocratoras (Pantokrátoros), Philotheo (Filothéou), and Simon Rock (Simonopétra); (4.) Hilandar (Kiliantari)(Chiliandaríou), Xeropotamo (Xiropotámou), St. Paul (Agíou Pávlou), and St. Gregory (Osíou Grigoríou); (5.) Dionysius (Dionysíou), St. George the Zograf (Zográfou), St. Panteleimon ('Russico')(Ágios Panteleímon ['Rossikón']), and Castamoneta (Konstamonítou). Ecclesiastical Titles: Archimandrítis = Archimandrite (Superior Abbot); Géron = Elder; Igoúmenos = Abbot; Ieromónachos = Hieromonk (consecrated monk or priest-monk); Monachós = Monk; Proigoúmenos = Protohegumen (First Abbot). (part of the Eyalet of Rumelia). as the Eyalet of Morea (Eyalet-i Mora). Republic of Venice (see below). then provincial capital (23 Sep 1821 OS). 22 Jan 1822 Part of independent Greece. Jun 1685 Invasion of the Morea (Peloponnese peninsula) by Venice. 17 Jun 1685 Navarino (Pýlos) occupied by Venice. 29 Aug 1686 Nauplion (Náfplio) occupied by Venice. 7 Aug 1687 Corinth (Kórinthos) occupied by Venice. Aug 1687 Piraeus (Porto Leone) occupied. 29 Aug 1687 Venetians occupy the Acropolis in Athens. 1688 Kingdom of Morea (Regno della Morea) organized. 18 Jul 1715 Nauplion (Náfplio) surrenders to Ottomans. 16 Aug 1715 Castle of the Morea (Rhíon) falls to Ottomans. 7 Sep 1715 Malvasia (Monemvasía) surrenders to Ottomans. 21 Jul 1718 Venice renounces the Morea by Treaty of Passarowitz. 1467 - 1479 Venetian occupation. 1453 Morea part of Ottoman Empire. 1689 Mani (Máni) Peninsula de facto autonomous (within Eyalet of Morea). 1697 - 1715 Venetian occupation. 1776 De facto autonomy (restored). limited to 9 fortresses, Greeks controlling the countryside. 1808 - 1810 Konstantínos Zervákos "Zervobeis"
completed 1470 (part of Rumelia Eyalet). 1788 - 1822 Sanjak of Tirhala (Trikala) as part of Yanya Eyalet (see Epirus). 1839 Ottoman Eyalet of Tirhala (Trikala), split from Rumelia Eyalet. 1856 - c.1863 Re-merged into Yanya (Janina). Jun 1867 Re-merged into Yanya (Janina). Sep 1423 - 29 Mar 1430 Venetian occupation of Thessalonica. 1839 Eyalet of Selanik (Salonica)(Eyalet-i Selanik), split from Rumelia. 8 Nov 1912 Thessalonika occupied by Greece. 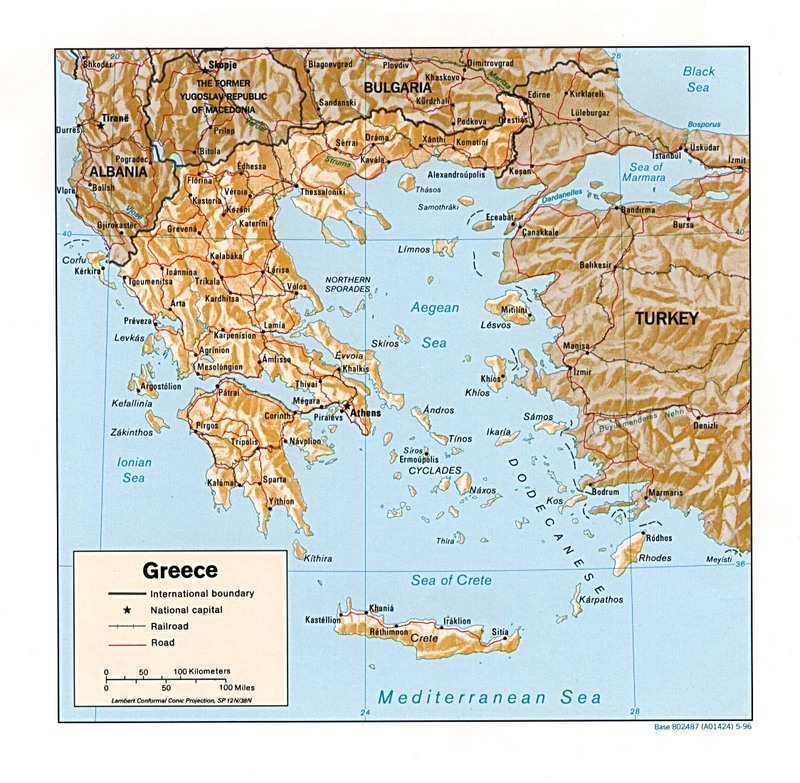 30 May 1913 Part of Greece by the Treaty of London (not ratified). 1947; from 2011 part of Kentrikí Makedonía region [periféreia]). Note: included in Selanik (Thessaloníki) was Thásos Island (Turkish: Taşöz). This island had become a sanjak (district) of the Elayet of Djeza'ir-i Bahr-i Sefid (see Dodecanese) in 1556, before being transferred to Selanik in 1902. In 1841, the island was granted to Muhammad Ali, the Wali of Egypt and his successors as a tributary possession; in 1908 direct Ottoman rule was restored until 20 Oct 1912. Included within Selanik Elayet was Mount Athos. c.500 BC - 146 BC Epirus (Ípeiros/Épeiros). 146 BC - 17 Jan 395 AD Part of the Roman (Republic to 27 BC) Empire. 17 Jan 395 AD Part of the Eastern Roman (Byzantine) Empire. Dec 1224 - 1230 Epirus annexes Thessalonica. 1241 - 1268 Epirus annexes Thessaly. 1279 - 1282 Vassal of the Kingdom of Sicily ("Naples"). 1282 - 1291 Vassal of the Byzantine (Eastern Roman) Empire. 1291 - c.1307 Vassal of the Kingdom of Sicily ("Naples"). c.1307 - 1318 Vassal of the Byzantine (Eastern Roman) Empire. 1318 - 1324 Vassal of the Kingdom of Sicily ("Naples"). 1324 - 1338 Vassal of the Byzantine (Eastern Roman) Empire. 1338 - 1348 Part of Eastern Roman (Byzantine) Empire. 1348 - 1355 Annexed by Serbia. 1356 Despotate of Epirus (restored). Serbian suzerainty (submits to despot of Epirus 1 Oct 1416). 1385 - 1430 Under Ottoman suzerainty. 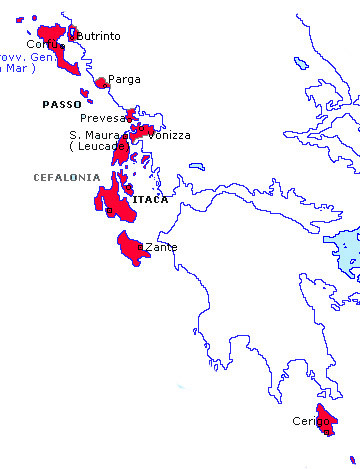 Cephalonia and Zante of the Tocco family. 24 Mar 1449 Ottomans occupy Arta, finishing the Ottoman conquest of Epirus. 1460 Ottomans occupy Angelokastron (Angelόkastro). Aug 1479 Ottomans occupy Vonitsa, final end of Despotate of Epirus. 1670 Eyalet of Yanyna (Eyālet-i Yānyâ), spit from Rumelia Eyalet. 1788 - 24 Jan 1822 Pashalik of Yanya (Janina), autonomous under Ali Pasha. 1822 Eyalet of Yanyna (restored). 25 Mar 1854 - 1854 Local Greek rebellion. end 1854 Revolt ended by Ottoman forces. (Old style date 4 Sep 1912). from 1 Jan 2011, Epirus region [Ípiros periféreia]). 13 Mar 1913 - 28 Apr 1914 Greek administration in Northern Epirus. 1 Mar 1914 - 27 Oct 1914 Revolutionary government in Northern Epirus (see Albania). 28 Oct 1940 Italian invasion of Greece (from Italian annexed Albania). 22 Nov 1940 - 22 Apr 1941 Greek occupation of Northern Epirus. 20 Apr 1941 - 24 Apr 1941 German forces occupy Ioánnina. the German and Italian occupation. 1361 Part of Ottoman Empire (as part of Rumelia Eyalet). 1878 Sanjak of Gümülcine (within Edirne Vilayet). 18 Oct 1912 Occupied by Bulgaria. 14 Jul 1913 - 1913 Gümülcine occupied by Greece. 10 Aug 1913 Ceded to Bulgaria by Treaty of Bucharest (ratified 12 Aug 1913). 31 Aug 1913 Gümülcine liberated by an insurgent pro-Ottoman volunteer army. 25 Sep 1913 Independence declared as "Provisional Government of Western Thrace"
Republic of Gümülcine), sponsored by the Ottoman Empire. 25 Oct 1913 Re-occupied by Bulgaria. 22 Oct 1919 - 23 May 1920 Allied administration. 2 May 1941 - 17 Sep 1944 Occupied by Bulgaria (see under 1941-45 occupations). c.2200 BC - c.1200 BC Minoan civilization. 67 BC - 36 BC Part of the Roman Republic (provincia Creta et Cyrene [Cyrenaica]). 30 BC - 17 Jan 395 AD Part of Roman Empire (provincia Creta [et Cyrene to 298]). 7 Mar 961 Byzantine rule restored. the Byzantine throne Aléxios (IV) "o Ángelos" (not effected). Venetian Republic (which delays taking possession). 1206 - 1211 Genoa occupies Irákleio (Heraklion) and most of Crete. 1208 - 27 Sep 1699 Venetian possession (Regno di Candia [Kingdom of Candia]). Jul 1212 By treaty Genoa accepts Venetian control of Crete. 1262 - 1265 Anti-Venetian uprising led by the Chortatzes brothers. 1333 - 1334 Anti-Venetian uprising Vardas Kallergis and Nikolaos Prikosirides. 1341 - 1347 Anti-Venetian uprising led Leon Kallergis. independence in rebellion against Venetian rule. 1646 Ottomans conquer western Crete establishing Girit [Crete] Eyalet. 1 May 1648 - 27 Sep 1669 Ottoman siege of Candia (Irákleio). 27 Sep 1669 All of Crete part of the Ottoman Empire (as Girit Eyaleti). 4 Apr 1770 - 17 Jun 1771 Sfakía uprising in Crete under Russian protection. 21 May 1821 Revolution begins in support of Greek independence. of the Island of Crete). 1822 - 1825 Egyptian invasion (on behalf of Ottomans) and occupation. 9 Aug 1825 - Feb 1830 Rebellion (Revolutionary Council of Crete). independence of Greece, but without Crete, in London Protocol. Oct 1830 - 1831 Egyptian invasion (on behalf of Ottomans) and occupation. 1831 - 1841 Egyptian rule (nominally under Ottoman sovereignty). 22 Feb 1841 - 1841 Rebellion. 21 Aug 1866 - Jan 1869 Rebellion. 15 Feb 1868 Ottoman Sultan grants Crete a local organic law (by firman). Jan 1878 - Oct 1878 Cretan rebellion seeking autonomy. 25 Oct 1878 Semi-autonomous by Khalépa Convention. 3 Sep 1895 - 3 Feb 1897 Cretan rebellion seeking autonomy. 15 Feb 1897 Greek forces land on Crete. insurgents to cease all hostilities. 20 Mar 1898 Cretan State (under Ottoman suzerainty). 6 Oct 1908 Independence declared. from 1 Jan 2011, Kríti periféreia). by Italy (from 9 Sep 1943 by Germany). c.895 - c.910 Muhammad ibn Shuayb "al-Zarkun"
28 May 1386 Ionian Islands become possessions of Venetian Republic. 28 Jun 1797 Occupied by France. 17 Oct 1797 Ceded to France by the Treaty of Campio Formio. and Mer Égée (Aegean Sea). 3 Mar 1799 End of French rule (on Corfu). 31 Aug 1807 Septinsular State accepts the French rule. 13 Sep 1807 Annexed by France. 6 Apr 1810 British occupy Santa Maura. Mar 1814 British occupy the Paxos Islands. 26 Jun 1814 British occupy Corfu. Cerigo [Kýthira] and Paxos [Paxoí]), protectorate of the U.K.
and Prussia concluded at Paris 5 Nov 1815. 1 Jan 1818 Constitution (of 2 May 1817) effective. Russia, and Greece concluded at London 29 Mar 1864. 2011, part of Iónioi Nísoi periféreia [Ionian Islands region]). 31 Aug 1923 - 17 Sep 1923 Corfu occupied by Italy during the "Corfu Incident." 1 May 1941), except Kythira which is occupied by Germany. 8 Sep 1943 - 12 Oct 1944 All Islands occupied by Germany (Corfu 25 Sep 1943 - 10 Oct 1944). 357 BC - 332 BC Part of the Persian Empire. 332 BC - 323 BC Rhodes part of Macedonia under Alexander "the Great." 200 BC - 164 BC Rhodes a client-state of Rome. 42 BC Rhodes is sacked by Roman general Cassius Longinus. 297 AD Rhodes part of Provincia Insularum). 17 Jan 395 Rhodes part of Eastern Roman (Byzantine) Empire. 654 - 654 Arab occupation of Rhodes. 673 - 679/80 Arab occupation of Rhodes. c.1090 - c.1095 Rhodes occupied by the Seljuk Turks. 1248 - 1250 Rhodes occupied by Genoa. 1250 - 1261 Part of the Empire of Nicaea. 1261 - 1309 Ruled by lords as vassals of the Eastern Roman (Byzantine) Empire. rder of Knights of St. John Hospitaller of Jerusalem. 15 Aug 1309 Rhodes taken by Order of Knights of St. John Hospitaller of Jerusalem. 10 Aug 1444 - 18 Sep 1444 Egypian Mamluke Sultanate siege of Rhodes. 23 May 1480 - 17 Aug 1480 Ottoman siege of Rhodes. 28 Jul 1522 - 24 Dec 1522 Ottoman siege of Rhodes. 24 Dec 1522 Part of the Ottoman Empire. and nominally Kıbrıs (Kýpros [Cyprus]) & Sesam (Sámos) remained. 27 Apr 1912 Italy begins occupation of the Dodecanese Islands. 6 May 1912 Italian occupation of Rhodes. 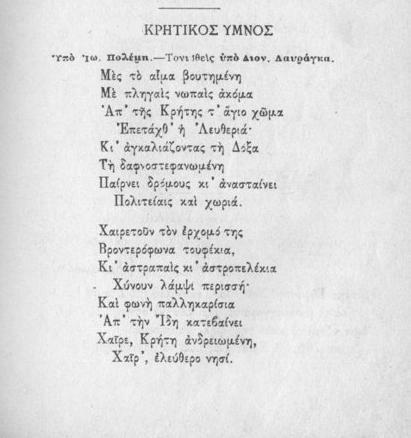 Kasos, Khalki, Tilos, Lipsos, and from Oct 1912 Kastellorizo). who favor union with Greece, Italian authorities reject it. be restored to Ottoman rule. 26 Apr 1915 Italian control recognized by the Allies. plebiscite which is not recognized by Italy. 8 Sep 1943 - 7 May 1945 British occupy Kastellorizo Island. 15 Sep 1943 - 4 Oct 1943 British occupation of Cos (Kós) Island. 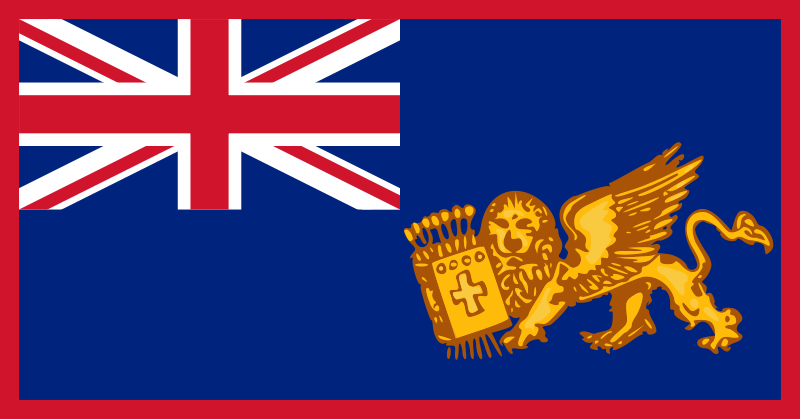 7 May 1945 - 15 Sep 1947 British administration. 10 Feb 1947 Formally ceded to Greece by Italy in Treaty of Paris. 15 Sep 1947 Greek administration. of [North Aegean region [Nótio Aigaío periféreia]). of Jerusalem (Knights of Saint John). 1440 - 1450 Egyptian occupation. 1450 - 1512 Possession of the Kingdom of Naples (Castelrosso). 1570 - 1571 Venetian occupation. 22 Sep 1659 - 1660 Venetian occupation. 1828 - 1833 Under Greek control during the Greek War of Independence. 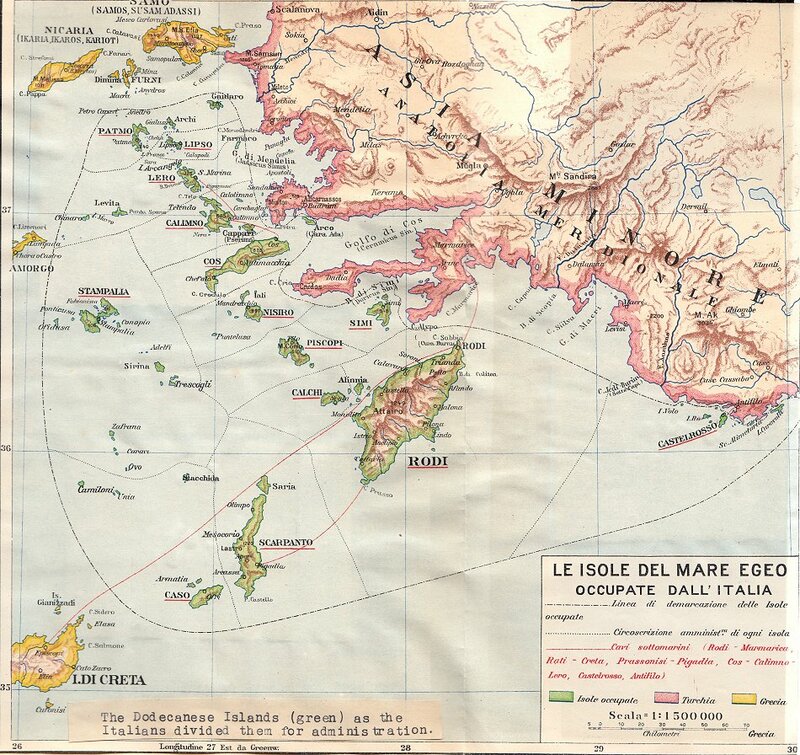 Oct 1912 - 14 Mar 1913 Italian occupation (see Dodecanese Islands). 14 Mar 1913 - 1 Aug 1913 Autonomous under local provisional government. 1 Aug 1913 - 28 Dec 1915 Greek administration (subordinate to Samos). 28 Dec 1915 - 1 Mar 1921 Occupied by France (Castellorizo). 1 Mar 1921 Italian administration (Castelrosso). 11 Jul 1922 Part of the Italian Dodecanese Islands. 24 Jul 1923 Turkey recognizes Italian possession of Kastellorizo. 25 Feb 1941 - 28 Feb 1941 British occupation. 8 Sep 1943 - 15 Sep 1947 British occupation. 15 Sep 1947 - 9 Jan 1948 Greek administration. 9 Jan 1948 Incorporated into Greece (named Megísti, part of Dodekánisa nomós). 1566 Part of Ottoman Empire (part of Eyalet of Rumelia; from 1661 Eyalet of Morea). 1802 Hydra (Ýdra) Island semi-autonomous (within Eyalet of Morea). 24 Jun 1807 - Sep 1807 Russian administration subordinated to Admiral Dmitriy Senyavin. 16 Apr 1821 Rebellion beings during the Greek War of Independence. 15 Nov 1821 Subordinated to the Senate of East Greece (see above). Dec 1829 Local autonomy ended. May 1831 - Feb 1832 Local rebellion supporting autonomy. May 1831 - Feb 1832 "Constitutional Committee"
1325 - 1481 Possession of Genoa. 1481 - 1522 Possession of the Knights of St. John Hospitaller of Jerusalem. 17 Jul 1912 Ottoman garrison expelled. 18 Jul 1912 Free State of Ikaria (Elévthera Politeía Ikarías) declared. 14 Aug 1912 Neighboring island of Foúrnoi also liberated by Ikaría. 4 Nov 1912 Occupied by Greece. 24 Jun 1913 Formally annexed to Greece (part of Sámos prefecture [nomós]). Jun 1941 - 10 Sep 1943 Italian occupation. 10 Sep 1943 - 18 Nov 1943 British occupation. 18 Nov 1943 - 11 Sep 1944 German occupation. of the Kingdom of Thessaly, then from 1207 of Venetian Republic. of the Aegean (Ducato dell'Egeo). 1207 - Mar 1383 Under the Sanudo dynasty. 1383 - 1566 Under the Crispo dynasty. 1537 - 1566 Duchy of Naxos a tributary to the Ottoman Empire. (part of Elayet of Djeza'ir-i Bahr-i Sefid). 8 Jun 1715 Tinos (Tínos) is taken by the Ottomans. and informally styled "Grand Principality of the Archipelago"). (Kuchuk Kainarji), Russians evacuate 3 Jun 1775.
part South Aegean [Voreío Aigaío] region [periféreia]). of Elayet of Djeza'ir-i Bahr-i Sefid). 10 Apr 1821 Rebellion beings during the Greek War of Independence. 4 Jul 1824 Ottomans end resistance on Psara. 11 Nov 1912 Incorporated into Greece (part of Chios prefecture [Khíos nomós]). 1304 - 1329 Genoese possession. 1346 - 1475 Genoese possession. 1475 Part of the Ottoman Empire. 1533 Part of Elayet of Djeza'ir-i Bahr-i Sefid (see Dodecanese). 18 Apr 1821 Rebellion beings during the Greek War of Independence. May 1821 Greek State of Samos declared. independence of Greece, but without Samos, in London Protocol. 22 Dec 1832 Samos Organic statute passed by the Ottoman Sultan. 22 Aug 1834 Principality of Samos, autonomy within the Ottoman Empire. 24 Nov 1912 Incorporation into Greece declared. 30 May 1913 Formally ceded to Greece by the Ottoman Empire. 8 May 1941 - 10 Sep 1943 Italian occupation. 10 Sep 1943 - 19 Nov 1943 British occupation (with Free Greek civil administration). 19 Nov 1943 - 4 Oct 1944 German occupation. 1540 Part of the Ottoman Empire. 1687 - 1715 Venetian occupation (Spezzia). Spetses supporting the Russians in Naxos. 1774 Island re-occupied by settlers from Peloponnese. c.1800 Spetses Island semi-autonomous (within the Eyalet of Morea). 12 Jul 1821 Rebellion beings during the Greek War of Independence. 15 Nov 1821 Subordinated to the Senate of East Greece (see Greece above).